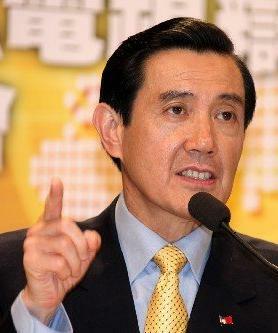 According to a guest editorial in the Taipei Times, President Ma Ying-jeou of the Republic of China government in exile on Taiwan made numerous major errors of fact when he participated in the April 25, 2010, televised debate on the proposed Economic Cooperation Framework Agreement (ECFA) with China. Mr. Ma's opponent in the debate was Democratic Progressive Party (DPP) Chairperson Tsai Ing-wen. The following is a summary of Mr. Ma's major errors. (3) Ma stressed that while other nations are actively engaged in the process of economic integration Taiwan is not, and as a result is becoming increasingly isolated economically. Moreover he expanded upon this point to say that Taiwan lost eight years of economic growth under the DPP administration of President Chen Shui-bian (2000 - 2008). In truth, in terms of export dependency and investment ratios, Taiwan is already the No. 1 country in the world when it comes to economic integration with China, and this could be dangerous for Taiwan's continued long term development. ASEAN is currently composed of Brunei Darussalam, Cambodia, Indonesia, Lao PDR, Malaysia, Myanmar, Philippines, Singapore, Thailand, Viet Nam. (4) Ma challenged that once ASEAN Plus One (PRC China) comes into effect, the products Taiwan sells to PRC China could be replaced. Such an interpretation is incorrect. For the most part, it is products from Japan and South Korea that compete directly with Taiwanese products in PRC China, while competition from ASEAN countries is almost non-existent. In fact, some economists estimate that the implementation of ASEAN Plus One would have only a 0.035 percent impact on Taiwan's GDP, a negligible figure. (5) Expanding upon his flawed analysis, Ma continually emphasized that all indicators show that ASEAN Plus Three (China, Japan and South Korea) is moving ahead and is likely to come into effect in a 2011 or 2012. The truth is a bit different than what President Ma likes to present. In fact, China is trying to use ASEAN Plus Three as a political and economic tool to control East Asia, and the countries in the region have become aware of this. As a result, the concept of ASEAN Plus Three is strongly opposed by many other countries. As a result, Japanese government officials have even made the bold suggestion of replacing it with an ASEAN Plus Six (ASEAN Plus Three, with India, Australia, and New Zealand added in as well). Contrastingly, the majority of the main players, the ten current members of ASEAN, have expressed the desire to have multiple "ASEAN Plus One" agreements with other countries in the region, instead of expanding into any type of ASEAN Plus Three or ASEAN Plus Six arrangement. Against the backdrop of these complicated discussions, the implementation of ASEAN Plus Three is unlikely to be as quick as Ma argues. (6) Finally, ROC government in exile President Ma said that even if restrictions are lifted on the more than 800 Chinese agricultural products currently banned from Taiwan, this would still be less than the 900 items permitted for import by the DPP during the administration of President Chen Shui-bian (2000 - 2008). Continuing along this line of thinking, Mr. Ma also said that an ECFA would have less of an impact on Taiwan than WTO accession. Unfortunately, Ma's grasp of the economic fundamentals in this area is seriously flawed. In regard to those products approved for importation by the DPP administration, both the Chinese agricultural products and the Chinese industrial products were those that Taiwan does not produce. In contrast here in 2010, the 800 Chinese agricultural products that are still barred are sensitive items produced in both Taiwan and China. Ma's statement that the impact of ECFA on Taiwan would be less than that of accession to the WTO is therefore clearly erroneous. 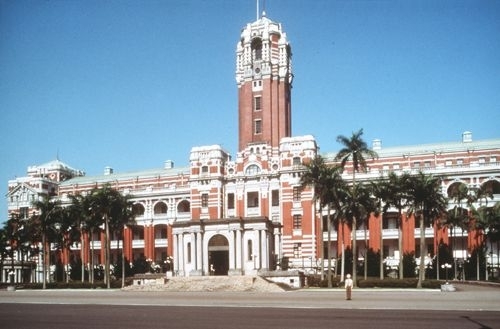 The "National Flag" and "Presidential Palace" of the Republic of China (ROC) Occupation Forces and Government in Exile. The organizers of the Taiwan Civil Government stress the following points: (1) Oct. 25, 1945 was the beginning of the military occupation of Taiwan, and "Military occupation does not transfer sovereignty," (2) Taiwan formerly belonged to Japan, and no international treaty has ever awarded the territorial sovereignty of Taiwan to the ROC, (3) Taiwan has never been incorporated into ROC national territory via the provisions of the ROC Constitution. In light of the above facts, it is a straightforward exercise in legal logic to comprehend that Taiwan does not belong to the ROC, and the government officers of the ROC have no legal authority to speak for the native Taiwanese people, or to exercise governance over them. 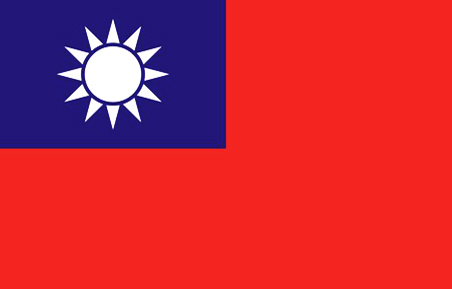 Considering that the post-war San Francisco Peace Treaty (SFPT) confirms the jurisdiction of the United States Military Government (USMG) over Taiwan, and confirms the United States of America as "the principal occupying power," under established US constitutional principles for administering overseas territories, the native Taiwanese people are entitled to come together to form their own civil government, and to have their own representatives take charge of the negotiations for all desired trade agreements.